Historically and in many developing countries still today, many homes use a cistern to capture rainfall for household purposes. Rain water harvesting, like the cistern, is the process of collecting rainwater and storing it for later use. Storage methods range from small barrels to large underground storage tanks. It is a valuable water management practice that is greatly underutilized. 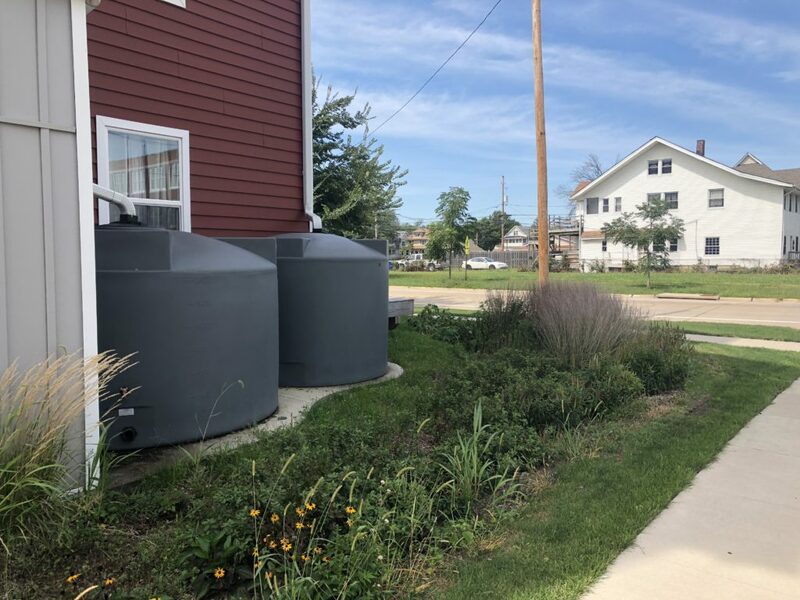 Rainwater harvesting is a fairly inexpensive practice for urban property owners to install by purchasing (or making) a rain barrel and connecting it to downspouts. After it rains, water is stored in the rain barrel for watering yards and gardens. The downside to rain barrels is that they do not manage large amounts of runoff, but they are an easy way for homeowners and businesses to start implementing conservation practices. 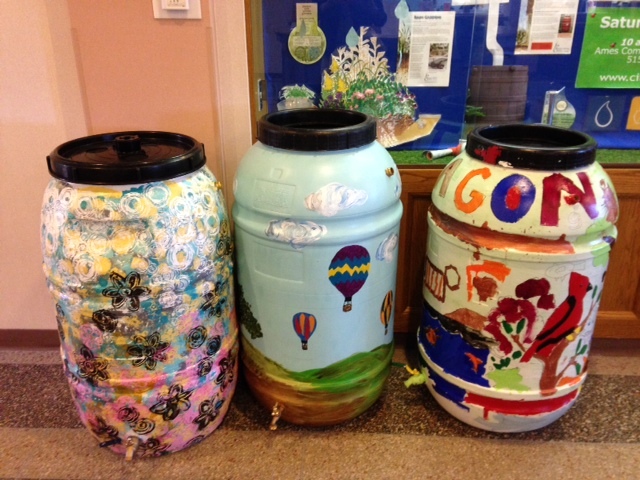 Rain barrels will typically capture 50 to 60 gallons. A small 8' x 10' area of roof will generate 50 gallons of water during a 1 inch of rain. A rooftop is 25 foot long by 20 foot wide, which is 500 square feet. 500 S.F. / 43,560 S.F. per acre = 0.0115 acres draining to downspout, 0.0115 acres x 27,152 gals per acre per inch of rain = 312 gallons of runoff to your downspout per inch of rain. Each inch rainfall will deliver 312 gallons of runoff to a rain barrel. 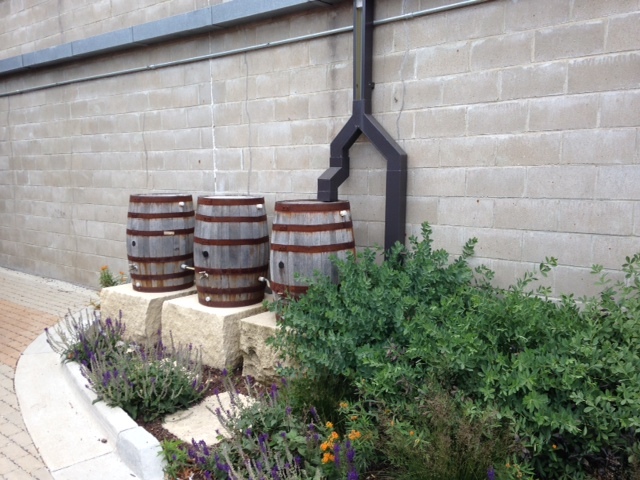 Meaning it would take more than 6, 50 gallon rain barrels to capture all the rainfall draining to that one downspout. Be sure to have an overflow pipe that moves water away from the foundation and, ideally, to a rain garden that will help infiltrate the water into the soil.